13 Sep 2018 --- The Hershey Company and B&G Foods, Inc. has entered into a definitive agreement for Hershey to acquire Pirate Brands, including the Pirate’s Booty, Smart Puffs and Original Tings brands in a deal that is worth US$420 million. The move is said to strengthen Hershey’s position as a better-for-you snacking leader. “Pirate Brands is a terrific business and we believe that it will thrive under the ownership of The Hershey Company,” adds Bob Cantwell, President and CEO B&G Foods. This strategic acquisition is expected to be accretive to Hershey’s financial targets given the steady growth trajectory and solid margin structure of the Pirate Brands business, according to the company. 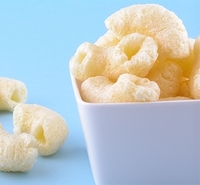 Pirate’s Booty is a fast-growing brand in the more than US$2.5 billion cheese puffs category, with retail sales up over 8 percent on a year-over-year basis and a market leader for consumers seeking snacks with clean labels and no artificial flavors, colors or preservatives. Pirate Brands will operate within Amplify, Hershey’s better-for-you snacking hub in Austin, Texas which is focused on driving growth in the warehouse snacking aisle with unique product flavors and forms like Skinny Pop, Paqui and Oatmega. The Pirate Brands purchase price is US$420 million, or approximately US$360 million net of tax benefits. The transaction will be financed with cash on hand as well as short-term borrowings and is expected to close in the fourth quarter of 2018, subject to customary regulatory approvals and other closing conditions. Last December, Hershey signed an agreement to acquire Amplify Snack Brands, the company behind SkinnyPop popcorn, in a move which shows how big US food firms are diversifying focus to better cater for American consumers’ growing preference for healthier options. The deal, valued at approximately US$1.6 billion, will strengthen Hershey's position in the snacking aisle and broadens its portfolio of innovative, savory snacking brands, the chocolate giant said at the time. Based in New Jersey, B&G Foods and its subsidiaries manufacture, sell and distribute branded shelf-stable and frozen foods across the US, Canada and Puerto Rico. The Hershey Company Pirate Brands B&G Foods Better-For-You Snacking Cheese Puffs Pirate’S Booty Smart Puffs Original Tings Amplify.